My tank has been running well despite the temperatures fluctuating a bit. A few bugs caddis, mayflies, and midges have hatched in addition to a growing population of snails and worms. A rare sighting that I observed the other day was a sowbug crawling around in the tank. Every time I take a look at the tank I learn something new. 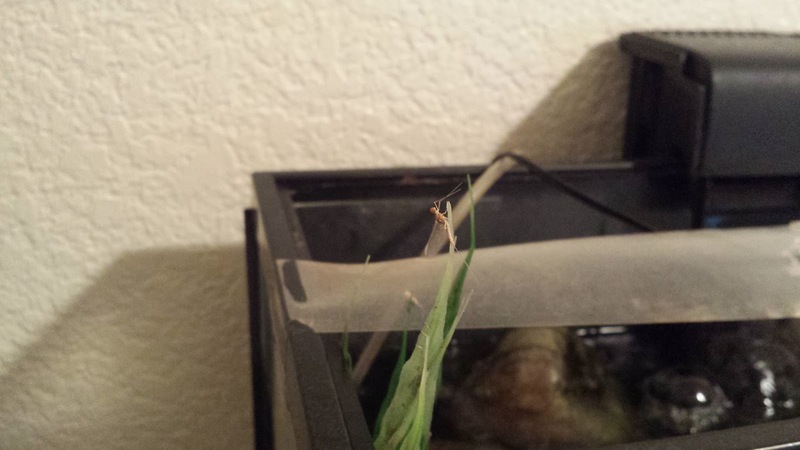 Although I have seen adult insects hanging out on the side of the tank, I have not been able to observe an emergence. I've found shucks of caddis flies and adults fluttering around in my room but I haven't found any larvae in the pupate stage. There was a fat green caddis that just went missing one day and a few days later an adult emerged. The larvae must have crawled to the bottom to pupate and then emerged when it was ready to hatch. I just recently purchased Gary LaFontaines famous book "Caddisflies" and will be piecing more of the puzzle together once I learn more. 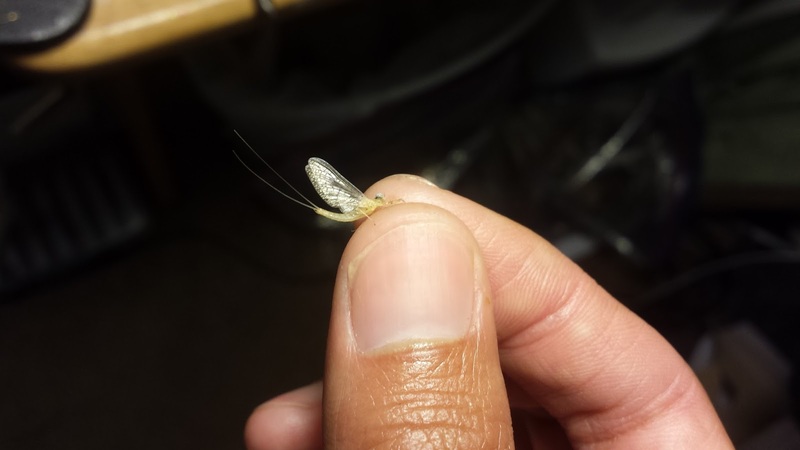 PMDs have been the primary hatch with a few BWOs. The PMD temperature hatch seems to be around the lower 70°F mark. Most of the PMDs I've collected seem to be around the size 12ish. There has been a boom in my snail and leech population. Both native snails and invasive NZ mud snails have started to populate my tank. 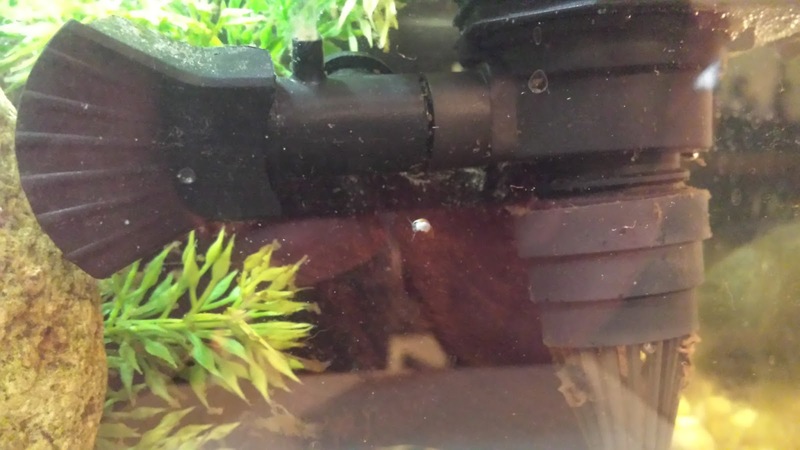 I've stopped siphon cleaning the tank in efforts to not further spread the invasive snails. I am curious to see the effects of the spread and will eventually kill the tank once I decide to end the project. The leeches like to "snake" around the glass of the tank. I'm not entirely sure what they like to eat but they are cool to watch. 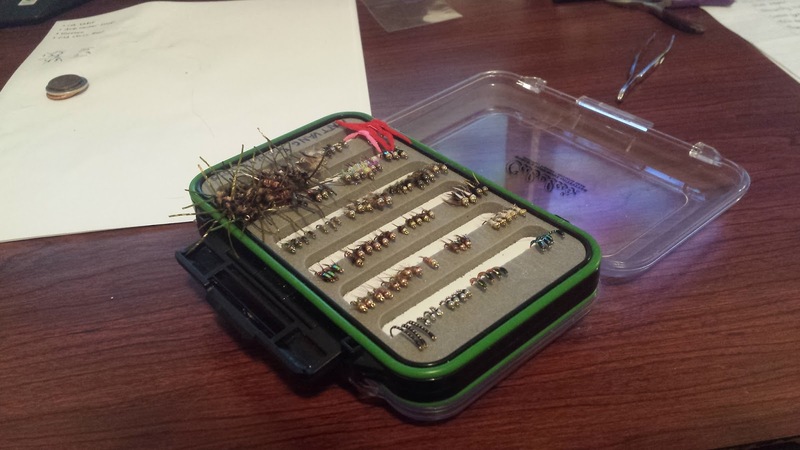 I've been working on filling up my fly box because oddly enough I've never had a full box of trout patterns that I have confidence in. 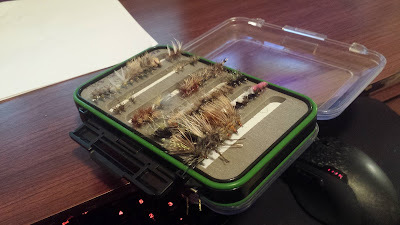 There is still space in my "working fly box" so more tying fun time. I'm planning on restocking my materials and upgrading my vise soon so hopefully that will make tying more productive and fun.